As most other industrial sectors endure sluggish growth in 2017, the commodity chemical industry continues to experience a revival in project activity. The sustained up tempo in commodity chemical industry capital project activity, especially in the United States, can be attributed to technological advances that have allowed access to new sources of low-cost industrial feedstock. Many owner chemical companies have authorized large capital investments—some the largest in their company’s history—to take advantage of market opportunities in the United States and across Europe. While opportunities and capital investments are on the rise, chemical company project organizations are moving in the opposite direction. IPA recently surveyed about 30 leading chemical and petrochemical companies on their project organization and teams staffing levels, including surveys on organizational design and capabilities and project team staffing levels. The surveys found owner companies have been downsizing their project organizations for more than a decade. Chemical companies have largely backed off hiring for project organization positions in the last few years. 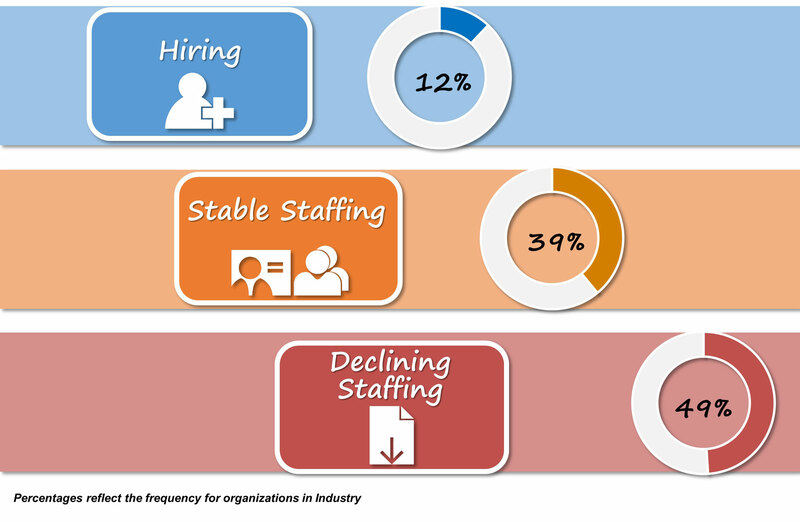 Only about 10 percent reported project organization staffing increases. Notably, about half of survey respondents said in-house engineering resources were reduced. However, despite signs that project organizations are stretched too thin, many businesses believe their organizations remain too bureaucratic for today’s dynamic business environment. They are led to believe that outsourcing project functions might result in the staffing “agility” they want to execute their entire project portfolio. To the contrary, IPA’s research findings are unequivocal: owner engineering supports better project outcomes. In-house engineering capabilities enable teams to deliver more effective projects. In fact, IPA data show robust owner teams drive lower capital costs and more predictable cost performance; the cost avoidance more than compensates for the cost of the owner staff. That is because owners are more productive, are better trained and experienced in the work process, and ultimately, have a larger stake in the project’s success. From IPA’s perspective, it is unfortunate that so few chemical companies have maintained adequate resources to complete detailed engineering in-house. Companies that have maintained the capability to at least complete FEL in-house deliver better results relative to those who rely on contractors to complete both front-end and detailed engineering work. Demographic trends further complicate matters. IPA data show chemicals companies are struggling to staff project organizations with experienced talent. Experience levels for engineering leads, construction managers, and project managers for chemicals have declined significantly over the last decade. Unfortunately, the pool of available qualified resources will likely get even smaller over the next few years. About three-quarters of chemical companies surveyed by IPA fear a further squeeze in the availability of experienced talent to work on chemical projects. With chemical companies executing more challenging projects, deficient project organizations are causing more acute project performance pains. A number of past IPA studies have identified the importance of functionally integrated project teams, where the organization assigns personnel to fill critical project functions, including the project manager, lead engineer, and construction manager. Unfortunately, chemical projects today are much less likely to have a functionally integrated project team in place by the time a project is sanctioned. IPA research has shown that poorly functioning teams have trouble delivering projects on schedule and, on average, deliver projects at 30 percent higher costs. This cost growth and schedule slip can be attributed to how a lack of functional integration undermines the core foundation of project teams since input and perspectives from key elements of the team are missing. The quality and effectiveness of project management is weakened also. The owner estimating function is critical to assess the bids provided by contractors, thereby providing early input in project development and business support. Owners should not take contractor bids for granted if project cost competitiveness is a factor of a project’s success. IPA data show that contractor-developed estimates typically overestimate project cost by 4 percent. Notably, the overestimating is typically found in bulk materials quantities. Meanwhile, over-estimation in chemical projects authorized in the last 5 years is more pronounced; costs are on average overestimated by approximately 11 percent. Project managers have significant influence throughout a project’s life cycle. The IPA survey showed that chemical companies take leadership style and personality traits into account only about 10 percent of the time when assigning project managers to projects. Staffing decisions are largely based on past project performance (both small and large) and resource availability. Given the demographic trends, it is difficult to find project managers with high levels of experience. But organizations can strategically evaluate in-house talent.An IPA study completed in 2016 on project management competencies found that matching leadership style and personality traits with key project characteristics is critical to project success. Different project types open themselves to different project manager profiles. For example, the study found that the ideal personality profile for an effective project manager for large projects looks quite different from the effective profile for small projects, specifically in the area of leadership and management styles. This suggests that to effectively transfer a project manager from small projects to large projects, his/her leadership style must evolve accordingly. Simply having a successful small projects project manager “graduate” to serve as the project manager for larger, more complex projects carries a good deal of risk. In other words, success in smaller projects does not necessarily predict success in complex projects if the individual’s personality attributes are not suited for the complex project. Project teams continue to struggle with getting timely construction input during project definition. A project requires early input from construction management to ensure constructability is appropriately considered from both a safety standpoint and a design approach. Construction managers should be a member of the core project team starting in the Scoping phase (FEL 2). However, IPA survey results show that construction managers are currently assigned to projects in FEL 2 on less than 40 percent of projects; during FEED, the number increases somewhat to slightly over 50 percent. For projects that do have the input, it is most likely to come not from a dedicated construction manager but from other team members with construction manager experience or contractors. As owners shift to bring this function back in-house, IPA’s competency study findings show the need to improve hiring, selection, and development processes to identify the construction managers most capable of helping projects succeed. The chemical industry shows no signs of slowing down. A wave of chemical investment has already been announced, and several large projects and megaprojects in various planning phases. The commodity chemicals businesses need low cost projects with excellent operability to be successful. Adequate functional representation is key to achieving these goals. The reality is that owner companies and contractors are facing resource shortages today and are likely to continue losing experience to retirement as current projects are completed. However, less than half of chemical companies have developed strategies to deal with resource shortages. Chemical companies cannot avoid the problem any longer and must take a closer look at their organizational capabilities required to maintain capital excellence. Holding on to in-house resources is a winning strategy. At a minimum, chemical companies should focus on better understanding how their key function profiles allows for better pairing of people and projects. All told, proper talent management and training is even more important in a resource-limited environment. Visit IPA’s Chemicals page for more information.